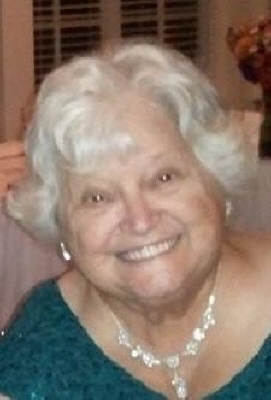 Catherine “Katy” (nee Zivkovich) Hennes, age 76, of Neosho, Wisconsin departed from this life into the Heavenly bliss on Wednesday, February 6, 2019. Family and friends who knew her have lost a faithful servant, wife, mother, grandmother, and great-grandmother. Farming with her husband and family filled their busy days from sunrise to sunset. Katy was Jim’s official “gofer-girl”, go for this, go for that, and go for anything she would forget. She loved driving tractor and working out in the fields. Cooking and baking to fulfill her family the “art” of making apple peta, which is a family tradition! She enjoyed playing solitaire, word search, fill ins, and various games with her kids and grandkids. Catherine is further survived by her sister Anne (Lloyd) Thelen, her sisters-in-law Donna Thoma, Judy (Rich) Truett, and Therese (Jeff) Miller and many nieces and nephews. Her parents precede her in death, as well her children, Joseph and Mary; grandsons Jeremy and Brennon Hennes; sister Mary (Walter) Bilgreen; brothers Thomas (Ethel), Joseph (Dorothy), Michael, George (Elaine) John, and Marko Jr.; brother-in-law Phil Thoma. Mass of Christian Burial for Katy will be held on Tuesday, February 12, 2019 at 6:00 p.m. at St. John Catholic Church (W1170 Rome Rd. Rubicon, WI 53078) with Fr. David LaPlante officiating. The family will greet relatives and friends at the church from 3:00 - 5:45 p.m.
Internment at St. Bartholomew Cemetery in Neosho, WI. The family extends a grateful appreciation to ProHealth Home Hospice for the care given to Katy in her recent time of illness. Also, a special appreciation to the many visitors who spent some of the day to care for Katy, who brought food, cheer, and well wishes. To send flowers or a remembrance gift to the family of Catherine "Katy" M. Hennes, please visit our Tribute Store. "Email Address" would like to share the life celebration of Catherine "Katy" M. Hennes. Click on the "link" to go to share a favorite memory or leave a condolence message for the family.